COMPAMED is not only a trade fair for innovations and trends, but also the future workshop for your industry. Visit the internationally leading trade fair for the medical supplier industry and product development. 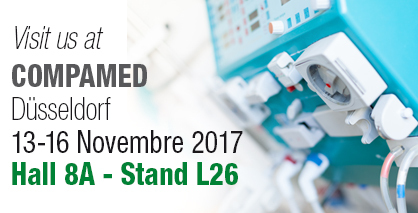 We welcome you to Fluid-o-Tech's stand L26- Hall 8A, where you'll meet our team ready to discuss your needs and we'll present our complete range of products!